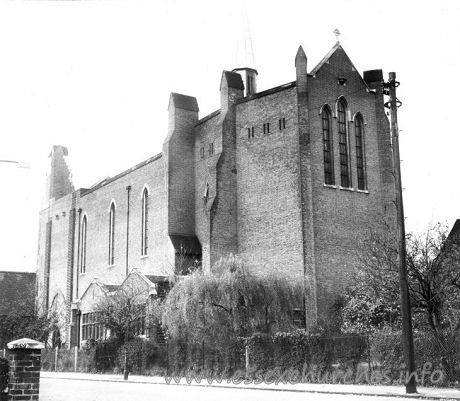 St Erkenwalds Loses its Flock - The large church on the junction of York Roa d and Southchurch Avenue, lost its congregation in 1978. Becoming redundant the church building found little use and fell into a state of disrepair. Some years later it suffered a severe fire and was demolished. Battle of the Beaches - .Skinheads versus Teddy Boys, reminiscent of the 60's when the Mods and the Rockers fought long and hard through the summer on the sands. Margate was the venue in the Easter holidays and a whisper had gone out that Southend would be the location for the August return fixture. Fortunately Essex Police had heard the whisper too and had come prepared as some 200 young people converged on the town dressed in their uniform of choice, skinhead jeans and braces, or more traditionally as a Teddy Boy. The police were stretched to separate the family holidaymakers from the troublemakers. The ensuing trouble was more disruptive to the majority, with ten arrestss for various offences. TV Crew in Town - Southend became the backdrop for a London Weekend TV situation comedy episode from the programme called Maggie and Her. Starring the legendary Irene Handl and Maggie Smith. The programme aired over two series and was based around divorced school teacher (Julia Mckenzie) who was attempting to reignite her love life while the nosey neighbour (Irene Handl) manages to scupper her attempts. Radio Two Comes to Southend - The nation listened to John Dunn (left) broadcasting live for two hours from the foyer of the Cliffs Pavilion. The show relayed through various interviews with key people from town, the history, economic development and an update on the seaside town's amenities. Flood Defences Completed - The final kilometre long see defence wall between Chalkwell and Westcliff was completed in 1978. Costing over £1m to complete, but leaving a protective barrier that has been where possible fully landscaped. Severe Storms Hit Town - Not since 1953 had storms hit the town as severely as they did this January. Gales at 70 mph, smashed into Southend and caused many thousands of pounds worth of damage. Old Leigh was hit hard with The Peter Boat being damaged with stock being washed out to sea, and by 3am the High Street was only traversable by rowing boat. Westcliff leisure Centre was flooded and the boating pool beside the pier doubled its depth to 10 feet. High Street Pedestrianisation Extends - The main shopping precinct of the town was heading near full pedestrianisation; the next stage would start in 1978 taking the length from Whitegate Road to Clifftown Road finishing the work in time for Christmas Shoppers. Royal Hotel Refurbished - Finally one of Southend's oldest buildings became the subject of a major refurbishment. Saving it from the demolition ball. Tunnel Discovered - It was reported in the loc al press during the refurbishment that builders had discovered a hidden passageway that ran under the High Street from the Royal Hotel to the buildings on the east side. The reports indicated they thought it was there to facilitate smuggling. But historians may put their finger on a more interesting use which goes back to Nelson's time when he stayed at the Royal Library opposite the Royal Hotel where is mistress Lady Hamilton stayed. This passageway became a convenient route for this famous Naval Lord to become better acquainted with the Lady, while hidden from inquisitive eyes. End of an Era - Nationalising and centralising the issuing of Car Tax to Swansea, mean't the end of an era in Southend as the shutters finally came down on the Car Tax office in the Civic Centre. Carnival Queen - The carnival queen for 1978 was Trudy Miller. Palmeira Towers Hotel demolished - A popular building that typified the style of architecture on the Westcliff seafront. The Overcliff Hotel is another of its type long gone. The Palmeira Towers sits on the rise set back and above the Arches cafes. The footprint of the hotel is now replaced by retirement flats called Home Cove. Trains Halted - The pier in 1976 suffered two huge fires, but it was not until 1978 the trains taking visitors along the mile and third distance were stopped for safety reasons. Percy Garon Dies - Southend lost in 1978 one of its most important son's. Percy Garon was a member of one of the most famous families in the town's history that dominated the High Street with food emporiums, cafes and cinemas. Today the town still remembers the family referring to the land north of Eastern Avenue as Garon's. Percy Garon however, who died at the age of 87, was decorated for his efforts in World War 1, and awarded the George Medal during World War 2 for fighting fires across Essex. His affilliation with the Lifeboat Service lasted some 40 years and ensured one of the services main boats at this time was named after him. A true Southend man born in the heart of the town in Tyler's Avenue. New Health Complex Opens - It took awhile to get there but on 20th February 1978, the Essex Street Social Services Centre was formally opened, and to be named Queensway House. Replacing outdated accommodation including the Victoria Hospital in Warrior Square and a family planning centre in Baxter Avenue. The new centre would blend into the town centre bulging with large office complexes in this area just across the road from the Victoria Shopping Centre. the building project should have opened 3 years earlier but became victim of the labour disputes of the time, with a string of strikes on site that continually held the build up. Roots Hall Celebrates - Fans stepped to the touchlines of the football field as Southend led 3-1 against Rochdale in the old Division 4 on Friday 21st April. With minutes to go until the final whistle the fans were ready to celebrate Southend's success at gaining automatic promotion to Division 3, finishing second behind Watford. After two seasons in the basement division manager Dave Smith had brought some small credibility to the Shrimpers and the fans celebrated long and hard. making this season one of the most successful in Blues history. The Ritz Up For Sale - This large art deco style former cinema has been put up for sale by the Rank Organisation. The last time the building, beside the Palace Hotel, rolled a film as a cinema was in 1972, since then Rank has run it as a Bingo Hall, due to the impact of mass television reducing film audiences. But even Bingo can't save it this year as the 'For Sale' sign goes up.